387 Danforth Street. A home from the deeper past. 387 Danforth Street. The William Vaughan house. This is from a much earlier era than it’s neighbors. 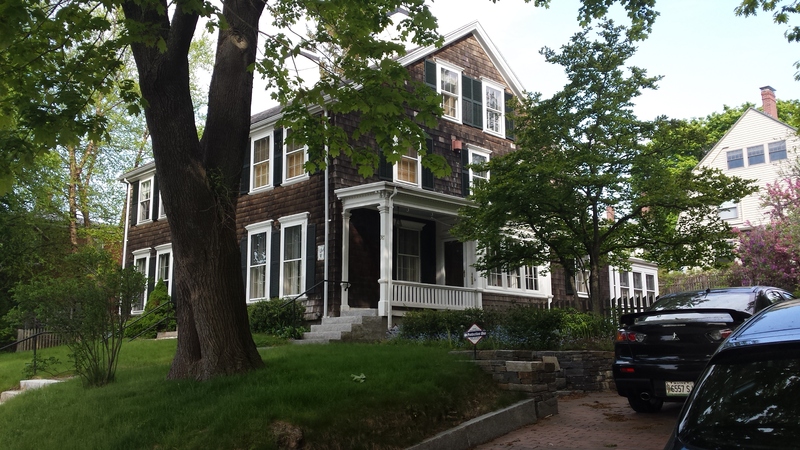 The tighter, symmetrical, massing along with matched chimneys, first floor windows that are much taller than the second floor and the strongly detailed entryway with arched window above place it squarely in the Federal Style. 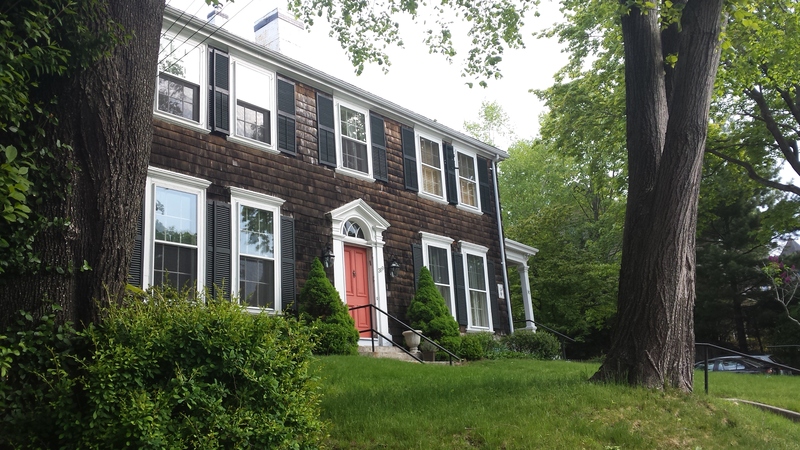 387 Danforth was built for William Vaughan in 1799. Vaughan was a wealthy trader and promoter of the town of Falmouth. When he built this house, it must have been a lonely place as the core of the town was still the India Street neighborhood. Vaughan was also the driving force behind the building of the first bridge to cross the Fore River after the bridge at Stroudwater. This bridge and it’s followers would carry Vaughan’s name for the next 150 or so years when the bridge was renamed the Veterans Bridge. Vaughan Street was also named for him. The house has some pretty classic Federal forms. The entry way is quite elegant while being restrained in detail and very well proportioned. The first story windows are capped with very refined entablatures. The use of heavy shingles is historically inaccurate. 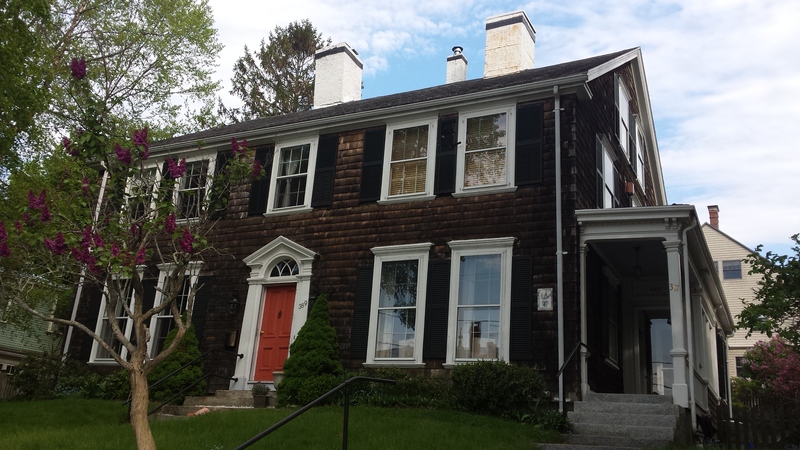 Federal style homes were noted for walls that were finished to look like stone or, in lower cost homes, clapboards. The use of phony, plastic shutters is quite jarring. 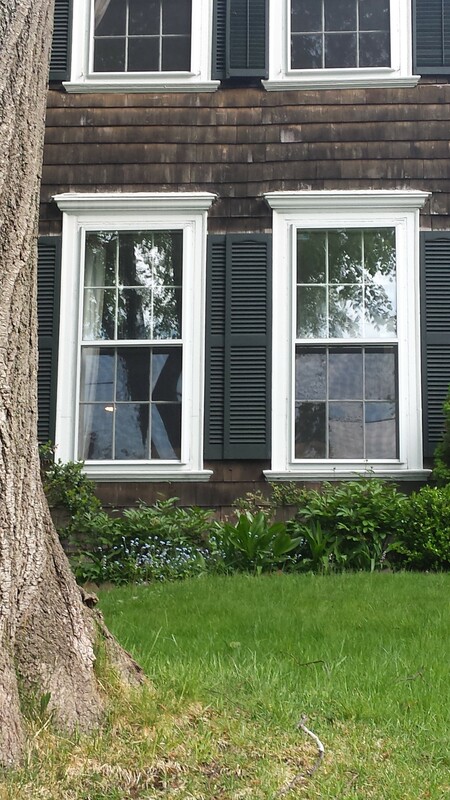 More so when compared to the correct though falling apart shutters on the second floor. This is a house that needs some attention. 1924 tax record shows the property as a two family home owned by one Mary B Bullard. Historical records seem to point the the house being converted sometime in the early 19th century. 1924 value was $3,182.00 for the land and $1,874.00 for the building. In 2014, the house is 2 condominiums with combined values of $171,000.00 and $684,400.00 respectively. Here is more information and a slide show of one of the condos that was for sale last year. 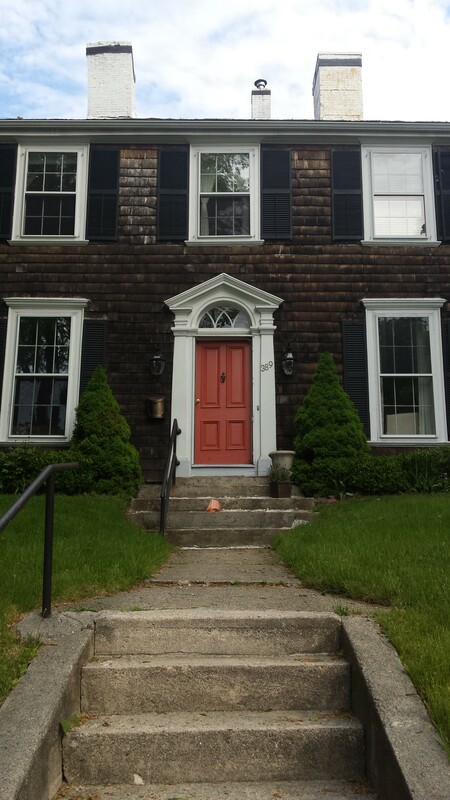 This entry was posted in Architecture, Danforth Street, History, Images, West End Walks and tagged Architecture, History, Maine, Portland, West End on May 25, 2015 by alewifecove.